Pumpkin - it's that time of year again. Every fall I crave pumpkin foods, and every fall I struggle to come up with recipes to make because Rob isn't a fan. Of course I can take things in to work, but we have lots of sweets in our breakroom. GOOD sweets at that, so I don't really need to contribute to departmental weight gain. But, when the occasion strikes to bring in a dessert I will! And if it's the fall, you bet I'm bringing something pumpkin! When I got the calendar invite for a coworkers shower to celebrate her baby boy that will grace us in a few weeks, I jumped at the chance to bring a dessert. A few desserts were already planned, so I wanted something relatively simple. 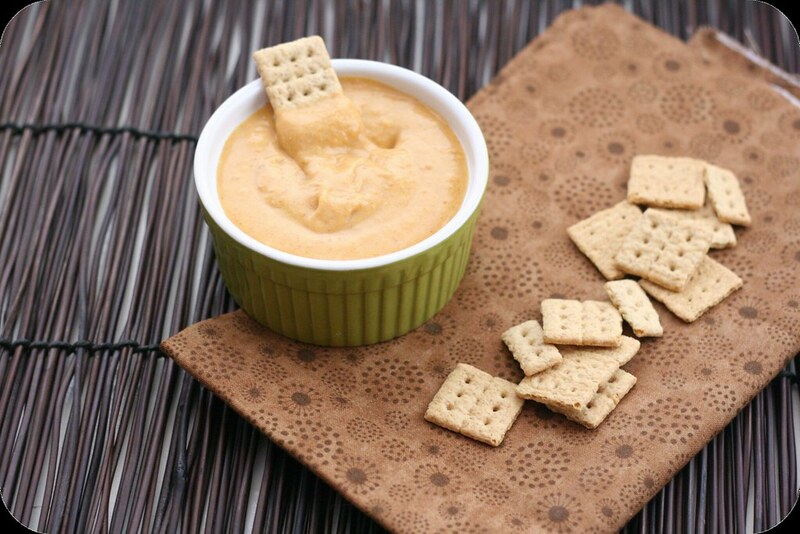 It didn't take long to land on this pumpkin pie dip I'd been seeing on Pinterest. So easy to make, and 100 percent delicious. I seriously could have eaten this with a spoon. In fact, I may or may not have licked the spoon when I was done putting it in the tupperware to take to work! The dip was exactly as I expected. Slightly sweet, slightly spicy and full of fall flavors like pumpkin, cinnamon and ginger. What's not to love?! In a large bowl, beat cream cheese and sugar until smooth. Beat in the pumpkin, yogurt, cinnamon, pumpkin pie spice and ginger until blended. Serve with cookies. Refrigerate leftovers.